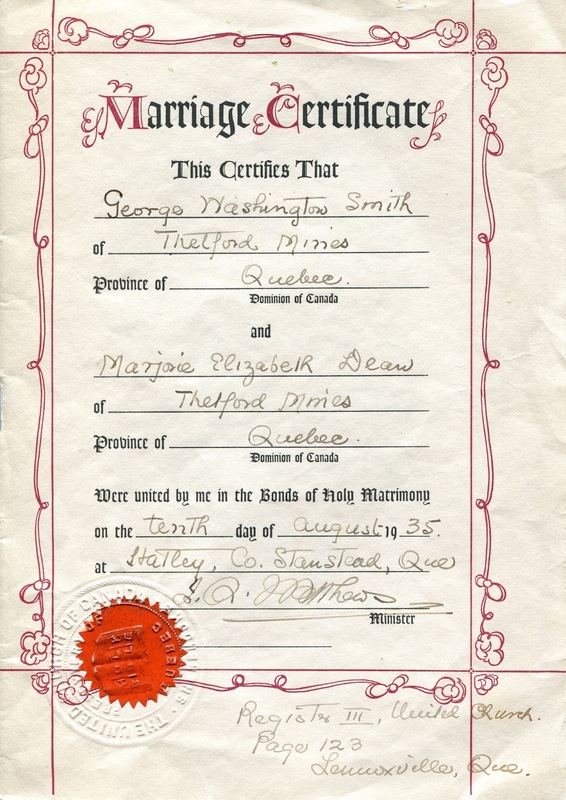 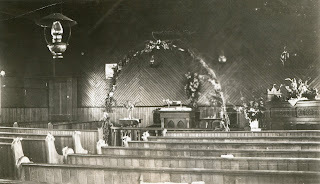 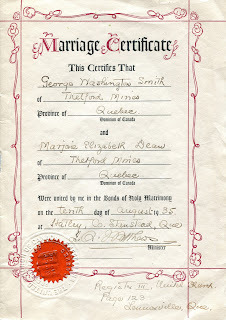 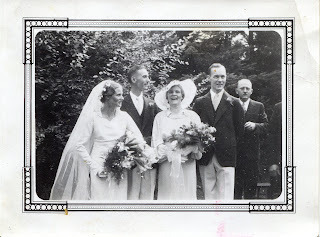 80 years ago this past Monday, on August 10, 1935, at a small but lovely church in a picturesque rural setting my mother's parents, Marjorie Elizabeth Dean and George Washington Smith, were married. 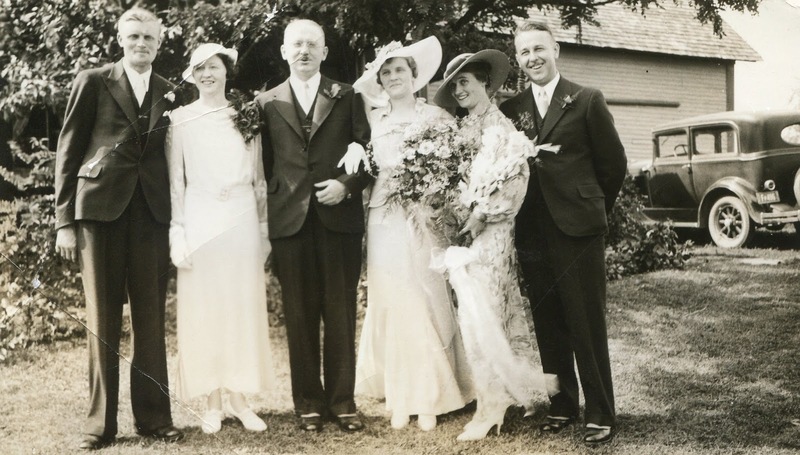 In the summer of 1935 Canada was as mired in the Great Depression as the United States. 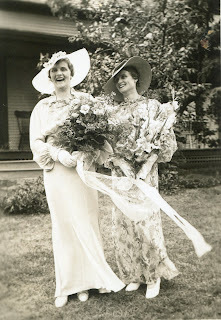 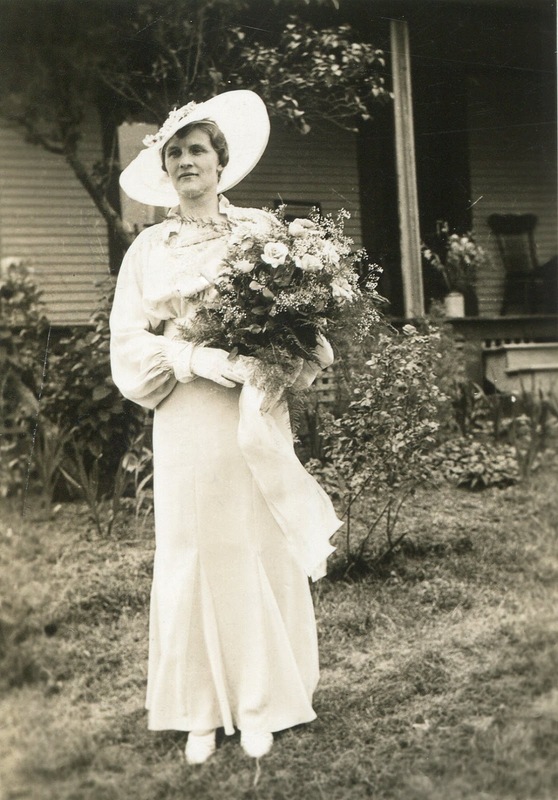 My grandmother was to be her sister's Matron of Honor two weeks later and couldn't afford a second dress or set of accessories, so she chose a pale blue dress and pink hat that would be appropriate for both occasions. Dorothy was also her sister's Maid of Honor and my grandfather's Best Man was his younger brother, Francis Parker Smith. 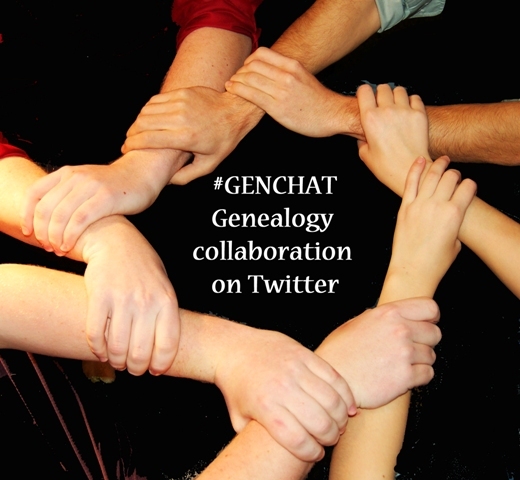 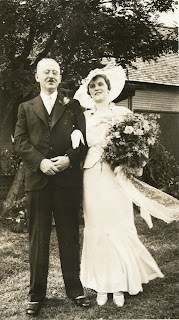 As their father had died in January from a burst appendix, my grandmother's brother, Kenneth Emery Dean, gave her away. He is pictured on the far left with his new bride, Adah Bailey Dean. 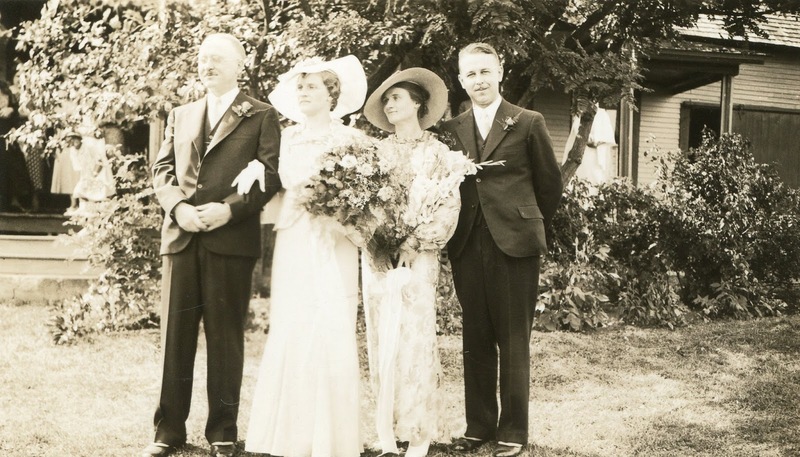 This description of the wedding was originally published in the Quebec Chronicle Telegraph but reprinted here in the Buckingham Press who's Editor and owner was my grandfather's uncle, Albert Hamilton Parker. 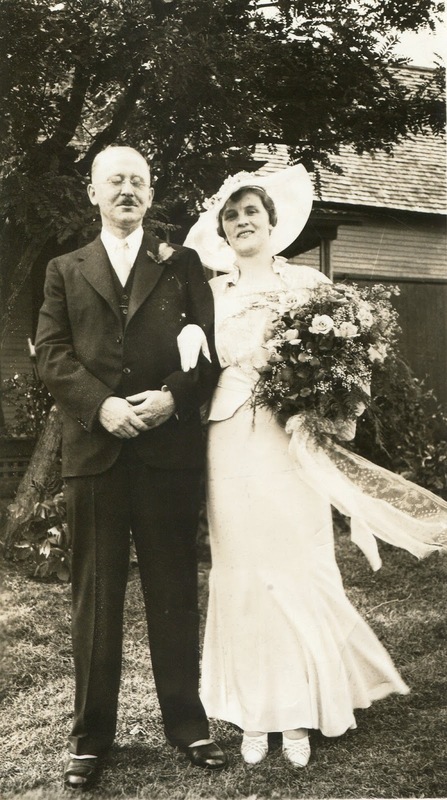 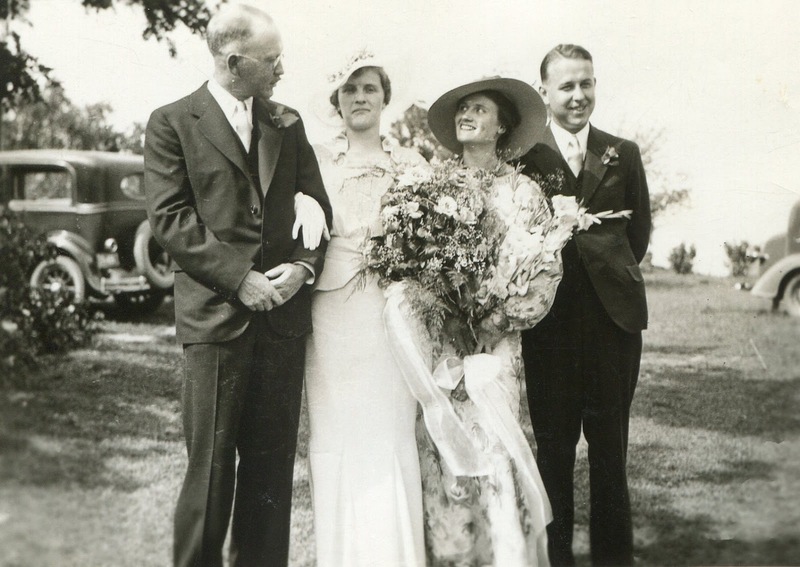 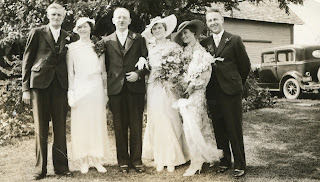 This was a summer of weddings for the Dean family; my great-uncle Kenneth Emery Dean and his bride Adah Bailey, were married on June 29th and my great-aunt Dorothy Irene Dean was married to Charles Leslie Copland on August 24th.